December 5, 2017 Area 1 of District 29 arranged a ceremony to hand out the Amelia Earhart pin and diploma to Nadrindra Ranaivomiarana, a 2017 Amelia Earhart Fellow. 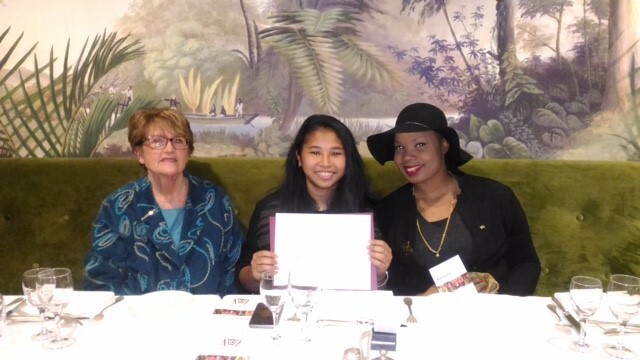 Zontians and the Malgache family and friends were sharing a nice dinner in a restaurants in Neuilly s/Seine, a Parisian suburb, where Nadrindra received her diploma and wing pin. 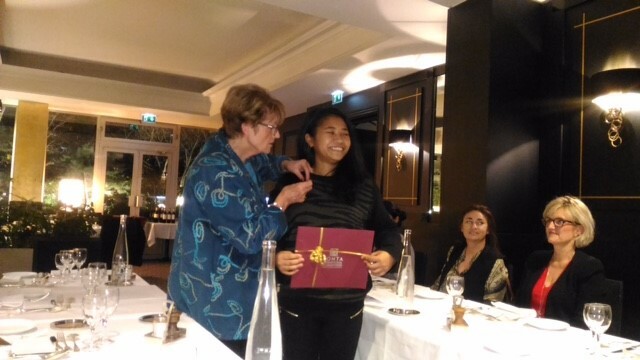 Nadrindra is studying at the Marie et Pierre Curie University, attached to Sorbonne, Paris. She is in her second of the planned three years studies towards her Doctorate in "Optimal structures in aeronautical composites, mechanical science, acoustic, electronic and robotic". Nadrindra Ranaivomiarana was born in Madagaskar 25 years ago. She moved to France just after her Baccalaureate at the age of 17. She is fortunate to have her two sisters living in Europe and some more family in Paris.